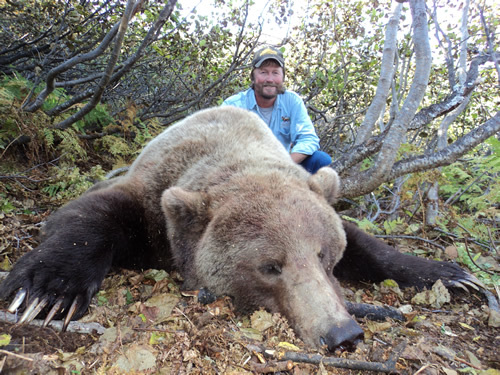 Take a look at the impressive trophies our clients are taking home from Westwind hunts! 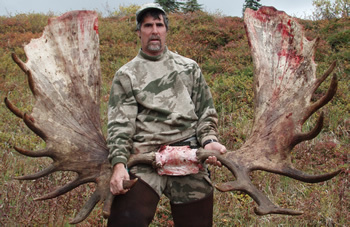 Welcome to Alaska, home to some of the finest big game hunting in North America and the world. At Westwind Guide Service, you will experience one of the most dynamic and beautiful wilderness adventures of a lifetime. We have been in the guiding & outfitting business in Alaska for over 30 years. Our areas have produced many world record trophies. Yours could be next! New for 2017! Spring Grizzly Hunts over Bait!! Check out our Pricing for 2017 page for more details! 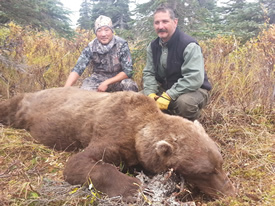 Westwind Guide Service, owned and operated by Alaska Master Guide Tony Lee, specializes in brown bear, grizzly, moose, black bear and dall sheep. In 1969 Tony came to Alaska with the simple goal of having one of the top outfitting services in the state. After learning to fly in 1972 and later purchasing a Super Cub, he paid his dues as assistant guide for several years. In 1979 he earned his Licensed Registered Guide status (#498) and now is a Master Guide (license #105), and owner of Westwind Guide Service. With 100% effort he reached his original goal and has many satisfied clients with record class trophies. 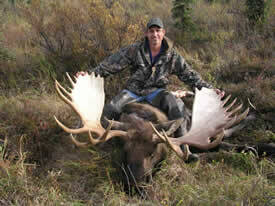 You can be assured we'll do everything we can to make your Alaska hunting trip a great experience! We're a small family-operated outfitting service based in the Shotgun Hills and Nushagak Hills of Alaska. 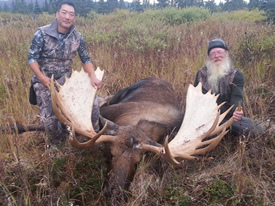 The far outpost of our hunting area is 300 air miles off the road system and located at the top of the Alaska Peninsula. All of our hunts are conducted in unit 19, 17, and 13 and we have been hunting these areas for the last 35 years, which is literally our backyard, our knowledge of this area is second to none. Most outfitters who rely on planes usually own a Piper Super Cub, which has proven to be the best short-field bush plane ever made. Our Super Cub with tundra tires allows us to fly into the most remote areas to scout for game or deliver hunters to drop/spike camps. We also have a Cessna 185 with large tundra tires that we use for hauling cargo and meat. Both aircraft are for the exclusive use of our hunters. Our old school philosophy of offering great service at a fair price has worked well for us. By only taking a few hunters each year we have maintained a high success ratio on trophy class animals. Based on the volume of return and referral clients we book, and feedback we receive, we know that we are providing unsurpassed service at a fair price. Give us a call and then call our references. I'm confident we can provide you with a great quality Alaska hunting experience. Because of the financial investment and personal dreams a hunt like this represents to you, we encourage you to contact our references. We offer you uncompromising efforts to give you the highest quality hunt ever. 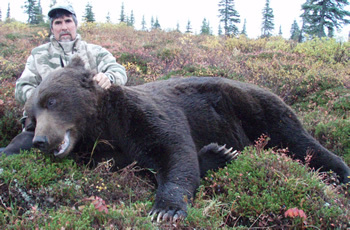 If you book a hunt with us, we'll send you a comprehensive packet of information that explains in great detail the best itinerary for coming & going, lodging, air taxi schedules, meat handling in the field, meat and trophy transportation from the field, air freight for meat & trophy to the butcher or taxidermist, etc. After reviewing everything, if you have any questions regarding any part of our hunts, and everyone does, please feel free to contact me by phone, fax or e-mail.